Best of the Best in All Natural Pet Supplies! 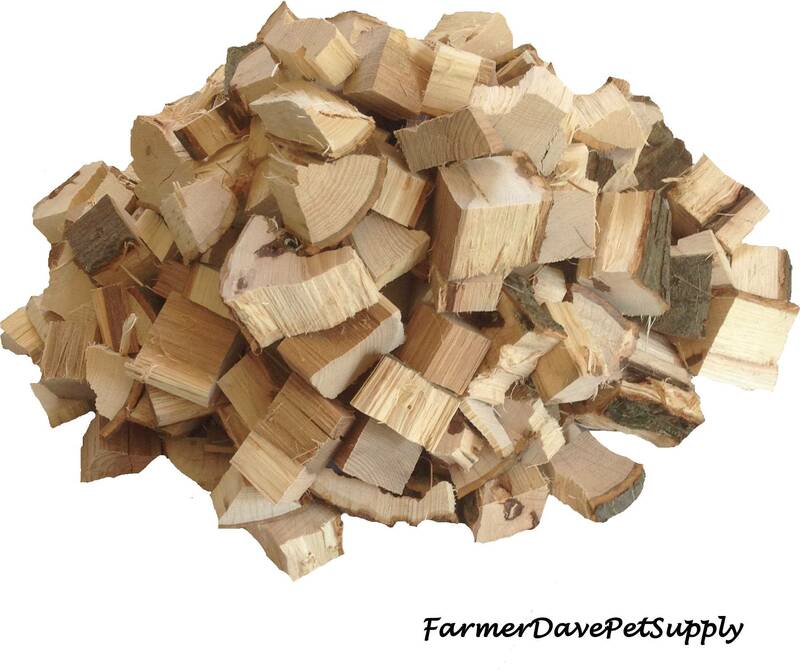 514 Cubic Inches (12" x 9" x 5") of Hickory Wood BBQ Grilling & Smoker Chunks. Up to 2 Inch Sizes. Great for smoker and grilling jobs. Smoking works by using Low Heat to make smoke as the wood smolders. It provides an enhanced flavor as it evenly penetrates and flavors the food. Delicious with Meats, Nuts and Veggies because of the natural Smoked Hickory Wood Taste. Naturally Grown and Harvested In Western New York State. Direct From Our Own Farm For The Highest Quality. ALL NATURAL: NO DYES - NO ARTIFICIAL ADDITIVES - NO CHEMICALS - NO PESTICIDES. 2017 FarmerDavePetSupply Theme. All Rights Reserved.